and a letter of thanks (click for larger image). THANK YOU TO ALL WHO CONTRIBUTED!!!! Another area of interest to anyone with an interest in Moffat history is the Motte at Auldton in Moffat, Scotland. 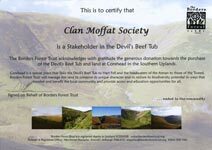 Details of this can be found on this page at the Clan Moffat UK web site - http://www.clanmoffat.info/docs/Auldton-at-Moffat.pdf. 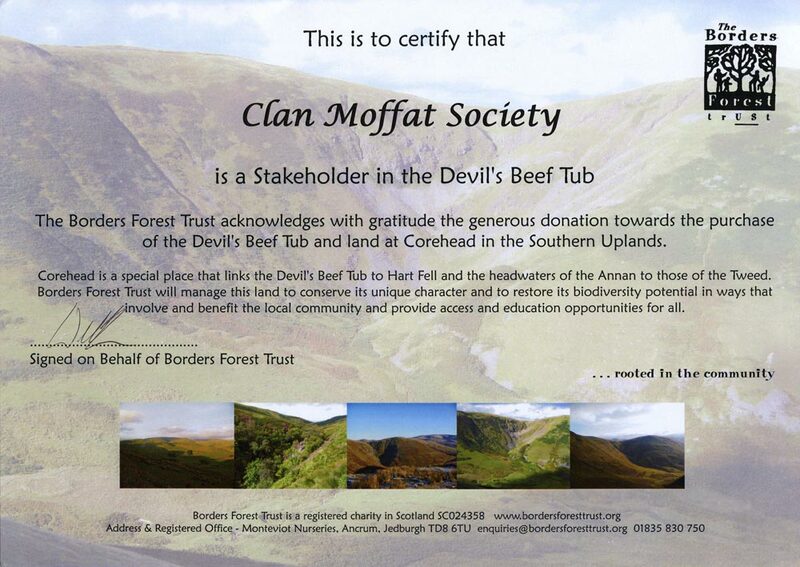 At some point in time it will probably become necessary to raise money to help the Clan Moffat UK group proceed with some of the exploration and study of this historic site, but at this time there is no firm plan in place on how to proceed - stay tuned!!!! You are Visitor Number 7,206 to see this.